Funnily enough, halfway through sewing this I had to take my Huskystar 224 into the shop for repairs. I've had it for about 9 years myself (its about 11 or 12) and never have ever had it serviced. Whoops. The lady at the sewing machine shop didn't seem to think it was all that big of a deal though. My machine is a bit of a workhorse and they even told me that I should never oil the one I have myself. So.... done! Tell me not to mess with it, and I won't! I had a damaged spring on the inside of my bobbin case (which is all internal on mine) so no wonder it was making so much noise and scraping against the bobbin plate while sewing. 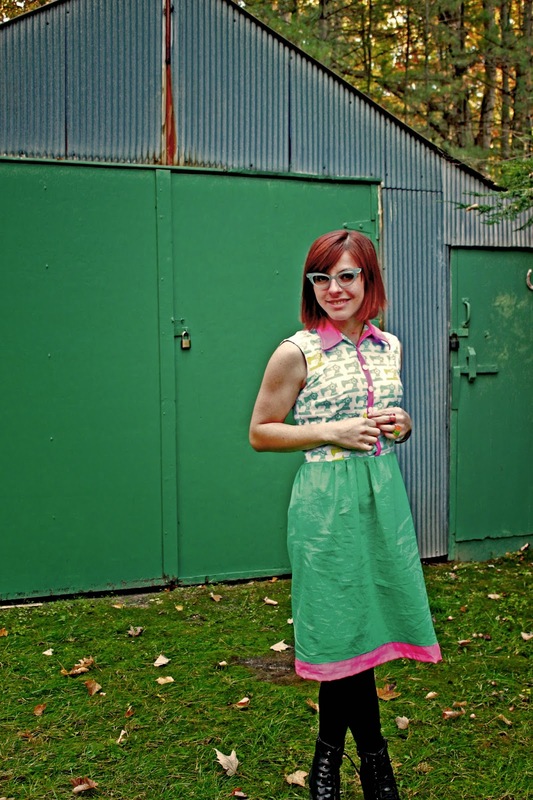 This dress is actually the same exact pattern I used for my 1969 Shirtdress. That's another reason why I thought this took way too long - about 4 weeks from when I was cutting to completion. The only thing I did extra was make armhole facings and attach a band at the bottom. I guess it doesn't help that I was fighting with my machine, then finishing it on an entirely different one, plus my hours at work have been a little out of hand. I can be at work anywhere from 8am to about 10pm and with holiday season it could be anywhere up to midnight or in some cases.....2am I have been told. Yikes. So I've mostly been sleeping or chilling at home. I have been having lots of fun playing with prints. 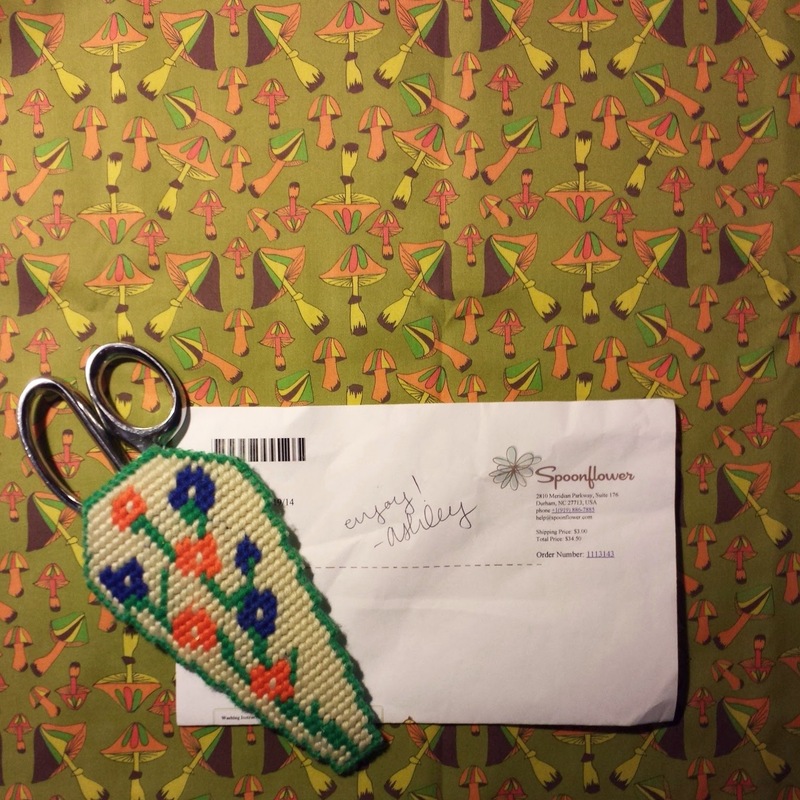 If you have been checking on my Instagram, I just made a psychedelic mushroom pattern repeat which you can buy on Spoonflower.com yourself! I made 3 different colors of it and am soon making a jumper-dress out of it. 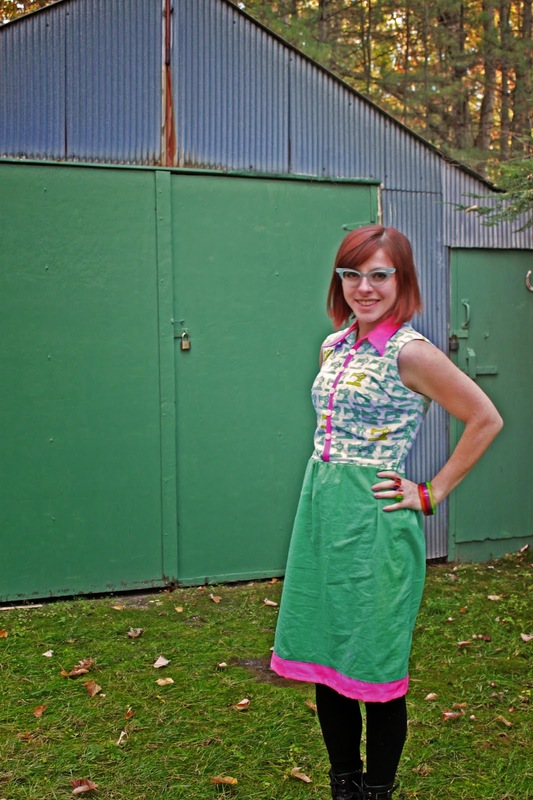 I *might* do Burda's Retro Dress out of it, and I might just make my own pattern. I haven't decided yet. Here is a mock up with their flat sketch. 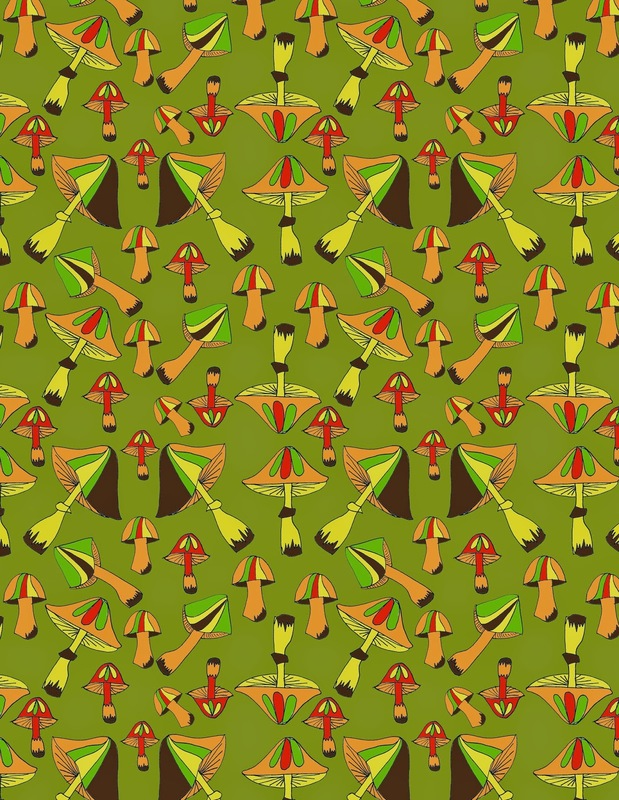 And the pattern repeat I designed. These mushrooms are hand-drawn then imported into Photoshop at 600 dpi. Sounds excessive, but it worked. I haven't really played with prints since college but I'm really having fun with them again. I used this tutorial to jog my memory of creating a pattern repeat. Like I do with any "recipe" I never follow anything exactly, but I got the results I wanted the way I wanted to personally do it. And there is my repeat in person! Image via Instagram. Lots of fun things to do, so little time. We'll see how it all goes. I have lots of exciting things on the backburner. I LOVE the sewing machine print. 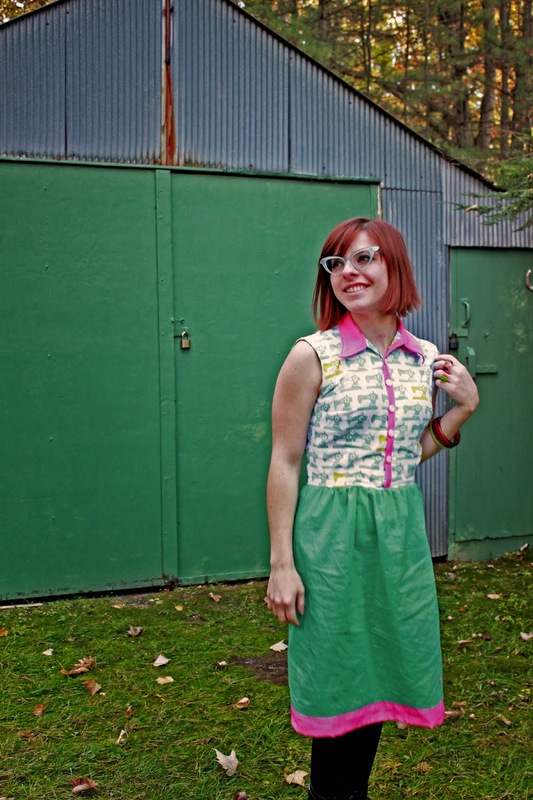 I, too, am obsessed with cotton quilting prints. They are not only adorable, but also cheap! When you put a lining in them, they are not bad for clothes. The psychedelic mushrooms are rather fun, too. 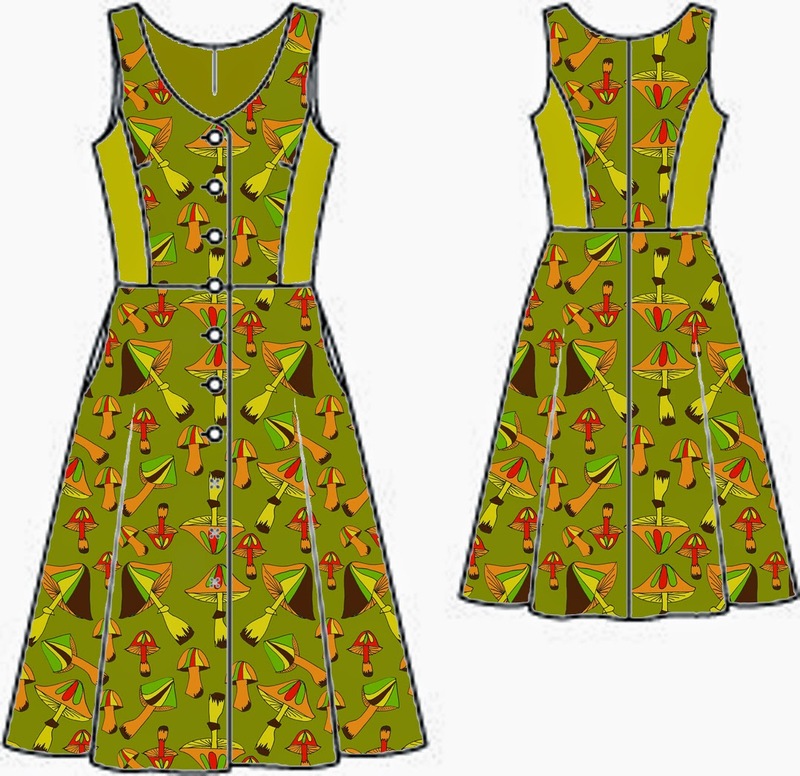 I've looked longingly at Spoonflower...someday, I will design my own fabric and make a dress with it! Great dress! 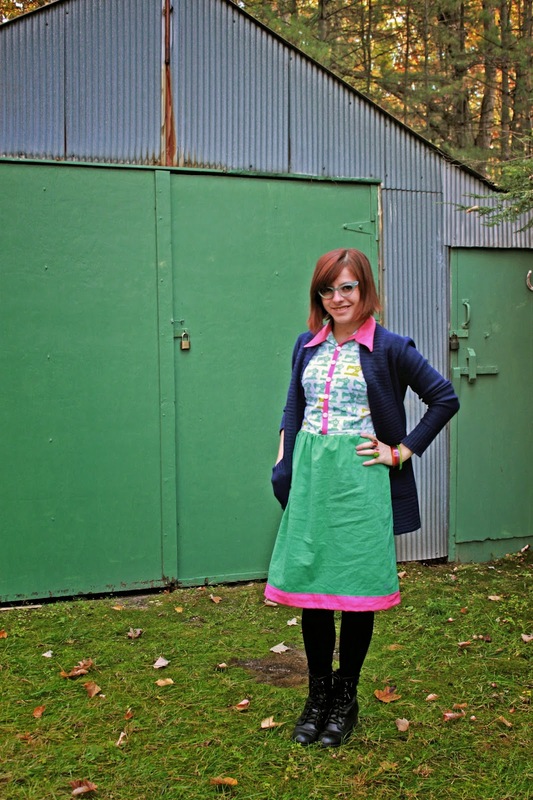 The sewing machine fabric is cute and I love what you've paired it with. 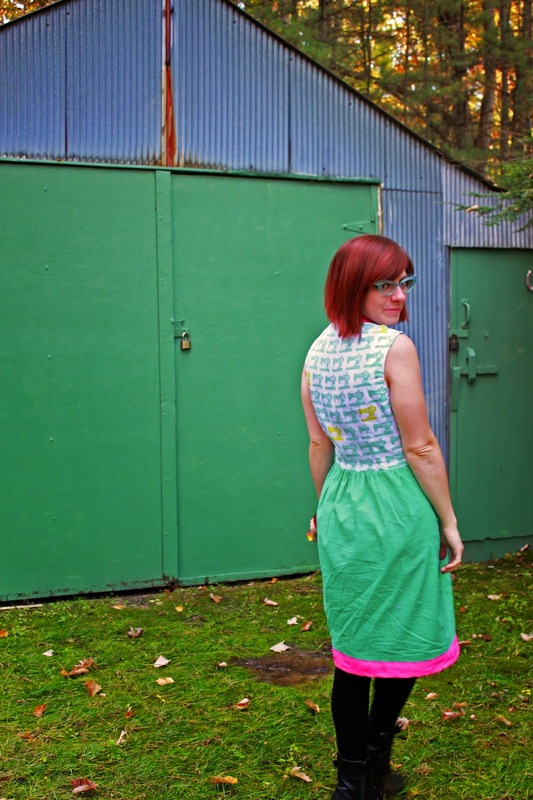 I loved sewing with quilting cottons or similar fabrics, but then the wrinkles arrive and I'm not so sure I love them as much any more!